Saga is a British company founded in 1959, focusing on the needs of those aged 50 or over, providing insurance, holidays, financial services and healthcare. Saga travel insurance has no upper age limit so it may be an option if you've struggled to find cover if you're over 65, 70 or 80. Saga is a well-established company that boasts an array of industry accolades and awards. With insurance, you often get what you pay for, so Saga's high-quality products may come at a premium. You can get a quote for travel insurance at the Saga website. Saga offers a discount for new customers buying travel insurance online. Saga features on our list of the best travel insurance companies. Saga provides two main types of travel insurance cover: single trip and annual multi-trip. A single trip policy covers you for one-off travel, while a multi-trip policy may offer more value for money if you’re planning on travelling more than once a year. The annual multi-trip policy is limited to cover up to 120 days abroad per year in total spread across any number of individual trips. Each individual trip is limited to 45 days per trip as standard, although this can be extended to 60- or 90-days per trip if needed. Regardless of the policy chosen, Saga travel insurance offers a number of benefits, including no upper age limit; cover for some pre-existing medical conditions; automatic cover for over 40 popular leisure activities such as football, golf and Scuba diving (down to 30m); 24-hour medical support including treatment, rescue services and hospital benefit; and a 24-hour worldwide support helpline. Excesses are toward the low end – a maximum of £70 per insured person – while policy limits are generous, with £10,000 for cancellation, £1,000 for missed departure, £5,000 for lost or stolen baggage, £250 for delayed baggage and £5,000 for substitute accommodation. A number of other benefits, such as personal accident, loss of passport, replacement flight and criminal injury benefit are also included as standard. Saga travel insurance even offers £1,000 towards ‘air rage’. While a range of popular activities are covered as standard, there is optional cover available for winter sports. Customers taking out a multi-trip policy are also able to add friends and family of any age to their cover, even if they’re not travelling together. Get a Saga travel insurance quote from their website. Does Saga travel insurance cover pre-existing medical conditions? Given Saga’s target audience, the company does cover a vast array of pre-existing medical conditions, plus cover for a number of waiting list procedures. However, the company cannot offer cover to those who are currently having medical tests (i.e. you don’t yet have a clear diagnosis). Saga does not exclude any pre-existing medical conditions, as other companies do, such is its commitment to comprehensive cover. All customers are asked to take a simple online health screening review when they obtain a quote, which will identify any potential cover issues. Find out more about getting travel insurance if you have a medical condition here. How much does Saga holiday travel insurance cost? The cost of Saga travel insurance policies varies depending on a number of factors, such as the age of the individual, the destination, any pre-existing healthcare issues, and so on. However, given the company’s positioning in the premium market and its focus on comprehensive cover, Saga customers may pay slightly more than they would at high street travel agencies or other insurers. But remember, you often get what you pay for. At the time of writing, Saga said 93% of customers who had a quote between 1 December 2016 and 28 February 2017 received a 20% discount when buying online. You can get a travel insurance quote at Saga's website. What do the Saga travel insurance reviews from customers say? 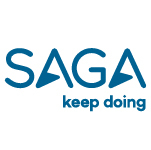 Saga has a score of 8.3 out of 10 from over 1,075 customer reviews on Trustpilot. The reviews relate to Saga as a whole and not just its travel insurance. Independent financial review site Defaqto gives both its annual trip and single trip policies five stars, making them “excellent products with a comprehensive range of features and benefits”. In Fairer Finance's spring 2017 ratings it gives Saga travel insurance an overall score of 62%, and ranks it third out of 53 companies. To make a claim you can call Saga on their telephone number: 0800 027 1335. Get a quote from Saga Travel Insurance. 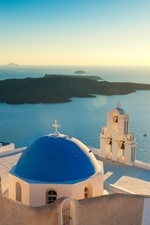 You can also use the collective buying you share with other travellers by joining one of our travel insurance groups.